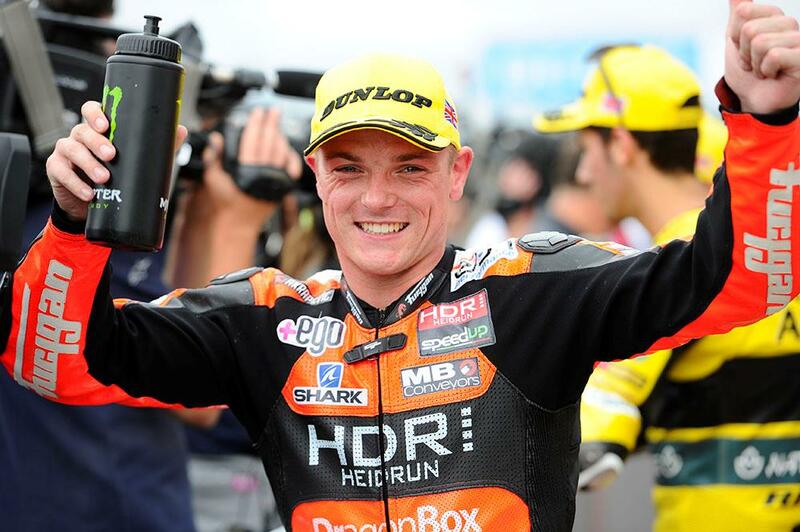 As revealed exclusively by MCN earlier this month, Aprilia have confirmed that former World Supersport champion Sam Lowes will make is MotoGP debut with the Italian manufacturer in 2017. Signing a three-year deal with the Noale factory, he will remain in Moto2 for the 2016 season, joining Aprilia’s GP partners Gresini in a bid to lift the middleweight crown. The team have also confirmed that current riders Stefan Bradl – who replaced Marco Melandri mid-season after legal difficulties hit his Forward racing squad - and Alvaro Bautista will remain with the team in the premier class next season. Speaking as the news was confirmed, Aprilia Racing manager Romano Albesiano also confirmed that Lowes will gain MotoGP experience next season as he takes over from BSB racer Michael Laverty as the team’s Grand prix test rider. “Stefan Bradl came on board almost by chance, a result of the circumstances, but his change in bikes this season was a pleasant surprise for me. From the very start we found him to be a methodical and fast rider, extremely precise in his comments and therefore particularly suited for the delicate role of “race tester” that our rookie season requires. “Precisely for this reason we wanted to continue working with him and now it's official. Stefan will work alongside Alvaro Bautista who will be in his second year with Aprilia. In this 2015 season Alvaro is providing a fundamental contribution to development of the RS-GP. With Alvaro and Stefan we have two excellent riders on our team with the right skills, professionalism and motivation to grow the Aprilia MotoGP project. “For the work that will be done at Noale and by the test team we'll also be able to count on the contribution of a fast young rider like Sam Lowes who, along with his commitment in the Moto2 championship, will be working as our official tester."